Japan Real Time, a Wall Street Journal blog, reports that Bitcoin exchange Kraken will begin operating in Japan by the end of this month, becoming the latest digital currency service to launch in the Asian nation since the collapse of Mt. Gox. Jesse Powell, Kraken’s CEO, told the blog that his company would provide a more secure service than did Mt. Gox, noting that users would have the option to deposit cash in a local bank for yen-dominated trading. “We look forward to bringing our expertise and service to Japan, where we will fulfill the overdue need for an exchange,” said Powell. Japan Real Time reports that public confidence in Bitcoin in Japan took a hit when Mt. Gox collapsed in February, losing half a billion dollars’ worth of Bitcoin belonging to 120,000 creditors. Since then, many Japanese-based Bitcoin exchanges have emerged, but so far none of them has managed to drum up the same kind of market share Mt. Gox had enjoyed. Having only started trading since September 2013, the San Francisco-based Kraken has already become one of the main exchanges for euro-denominated transactions. Japan Real Time reports that Kraken has so far been serving Japanese-based costumers via deposits to its accounts overseas in euros and dollars. But global money transfers from Japanese banks face high transaction fees, and some domestic banks have not accepted transfers if they are Bitcoin-related, prompting Kraken’s move to formally launch its service in Japan with cooperation from local banks, states Japan Real Time. Powell told the blog that his operating platform won’t repeat Mt. Gox’s mistakes, though he also said assets left by Mt. Gox, such as its client database, could prompt Kraken to pursue a takeover. Powell said Kraken has been a target for cyber-attacks, which led to Mt. Gox’s collapse, but has never been breached. 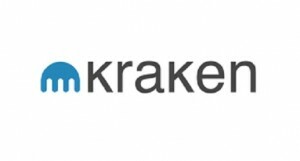 “Our experience and proven track record of competence, security, compliance and technological robustness would be great reasons to use Kraken,” said Powell. He told Japan Real Time that negotiations with Japanese banks on collaboration took longer than expected as some banks refused to provide a service to a Bitcoin-oriented business.